The Fortnite World, is literally taking over our World. The Fortnite World is Taking over our World. It is truly incredible what is happening in the fortnite world. You got top streamers playing with celebrities for christ’s sake! I’ve started talking about fortnite on a regular basis now on the “Full Tech” podcast. You can check out the latest episode on everything iTunes, Google Play, Stitcher! Be sure to let us know what you think about it. There are a billion strategies on how to get better at the game. My top tips would be to get better at building, and just get your games in. What I mean by getting your games in, is by going in solo, and dropping tilted. This way you at straight into the action, and you can work on your skills against actual people. Now, I wouldn’t go tilted and expect to be winning the game, go into tilted knowing you are just trying to get better and more experienced against facing someone. Hey, you also have a chance of being a highlight on a high profile streamers stream too, so there is that. If you haven’t heard the rap battle yet, then you are missing out. It is catchy and it sums up fortnite pretty well. Available on PS4, Xbox one, and of course the master race PC. It is shortly coming to all mobile devices and HOPEFULLY the Nintendo Switch! While I don’t really care about playing the game on my Android device at all. This game requires good controls and not some touch screen to be successful anyways. It still gets it in the hands of MANY more people, which tells me this game is going to be around for a loonnnggggggggg time. 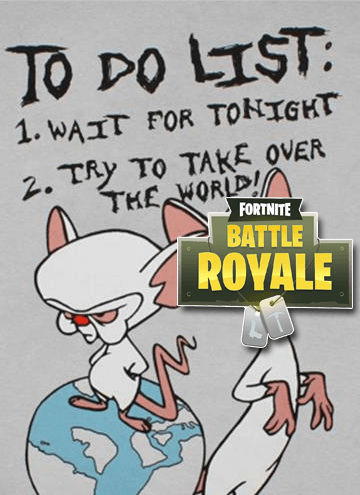 So queue up and it’s time to join in as epic takes over the world with their latest hit game.